Gallia Academy junior Cade Roberts (17) hustles down the first base line after a dropped third strike during the third inning of Monday night’s OVC baseball contest against Fairland in Centenary, Ohio. CENTENARY, Ohio — The one mistake came back to cost them. 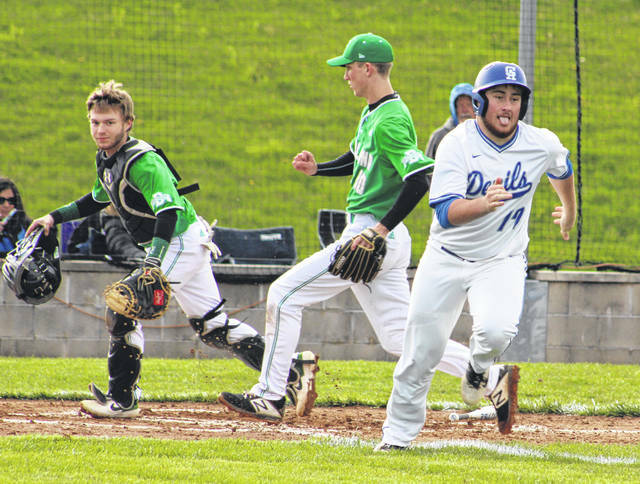 The Gallia Academy baseball team played a mistake-free game through regulation, but an error in the eighth ultimately allowed visiting Fairland to score the game-winning run in an 7-6 victory Monday night in an Ohio Valley Conference contest at Eastman Ball Field in Gallia County. Both the Dragons (8-3, 6-0 OVC) and host Blue Devils (5-5, 2-3) led on two different occasions over the course of seven innings, which resulted in a six-all contest headed into extra frames. FHS opened the eighth with a leadoff single by Brennan West, then West moved to second on a Gavin Hunt single before making it to third on an error — giving the Green and White runners on the corners with nobody out. Dacota Chapman followed with a double that allowed West to come home with the go-ahead run, making it a 7-6 contest headed into the home half of the eighth. Colton Roe received a one-out walk and stole second to work himself into scoring position, but the Dragons came up with consecutive outs in the next two at-bats to wrap up the one-run triumph. Fairland plated two runs in the top of the first, but a Morgan Stanley single in the second allowed Trent Johnson to score for a 2-1 contest. The guests countered with a run in the top of the third, but GAHS plated three runs in its half of the third to take its first lead of the game. Brendan Carter scored on a passed ball, then Andrew Toler laid down a squeeze bunt that allowed Cade Roberts to score for a tie game. Stanley singled home Justin McClelland one batter later for a 4-3 advantage. That lead, however, was short lived as the Dragons plated two runs in the fourth for a 5-4 edge. Wyatt Sipple scored in the fourth to knot things up at five, then Zane Loveday singled home Toler in the fifth for a 6-5 Blue Devil lead. Hunt singled home Alex Rodgers with two away in the sixth to tie things up again at six-all. Fairland outhit the hosts by a 10-7 overall margin and both teams committed an error apiece in the game. 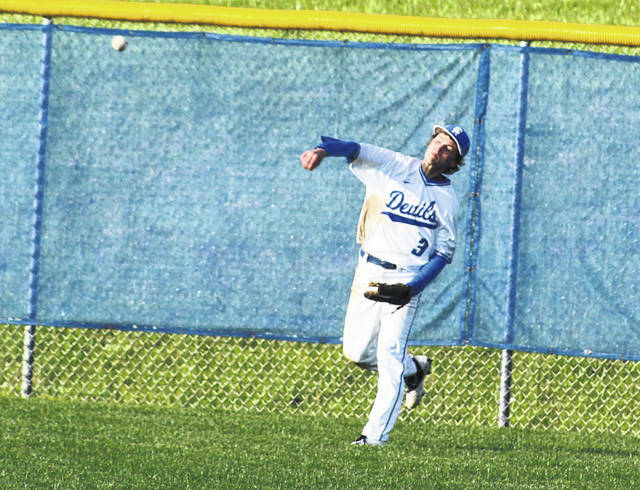 FHS stranded 10 runners on base, while the Blue Devils left eight on the bags. Rodgers was the winning pitcher after allowing one earned run, one hit and three walks over five innings of relief while striking out 10. Cole Davis took the loss after surrendering one unearned run, five hits and a walk in 1.1 innings of relief. Sipple and Stanley led the hosts with two hits apiece, followed by Carter, Johnson and Loveday with a safety each. Stanley drove in a team-high two RBIs in the setback. Hunt and Rodgers paced Fairland with three hits each, with Chapman also adding two safeties. West and Kyle Rankin also had a hit apiece for the victors. Hunt also drove in two RBIs. Gallia Academy returns to action Wednesday when it hosts Ironton in an OVC contest at 5 p.m. 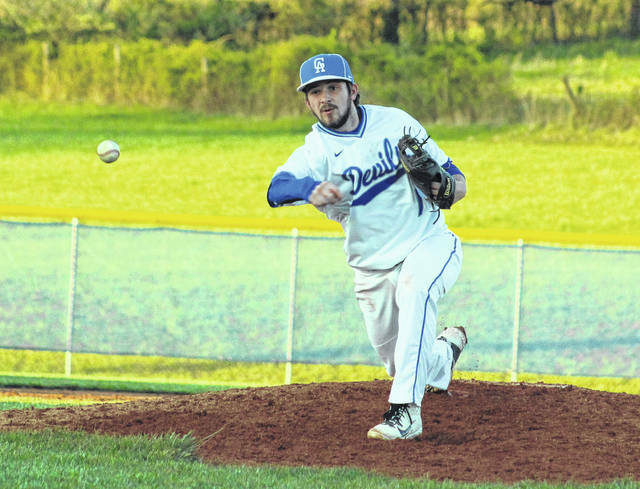 The Blue Devils will also make up their rain-out date with Coal Grove on Thursday in Lawrence County.